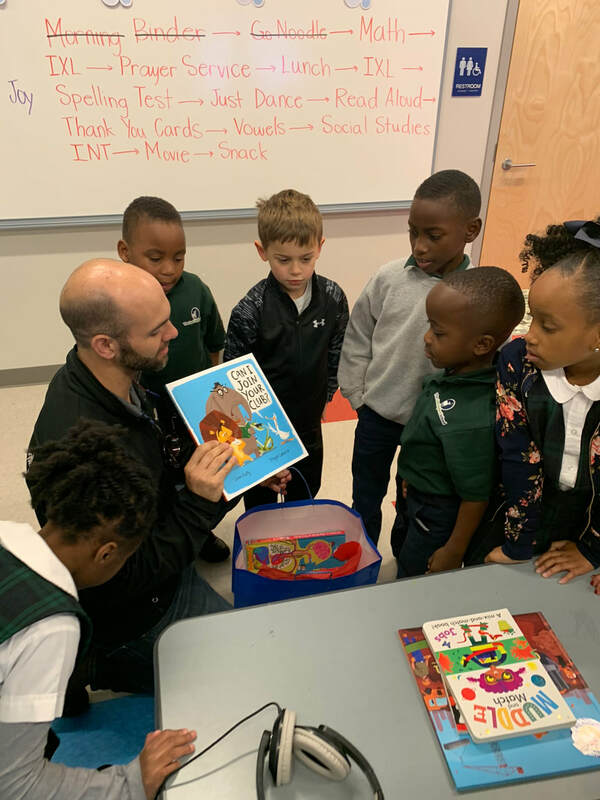 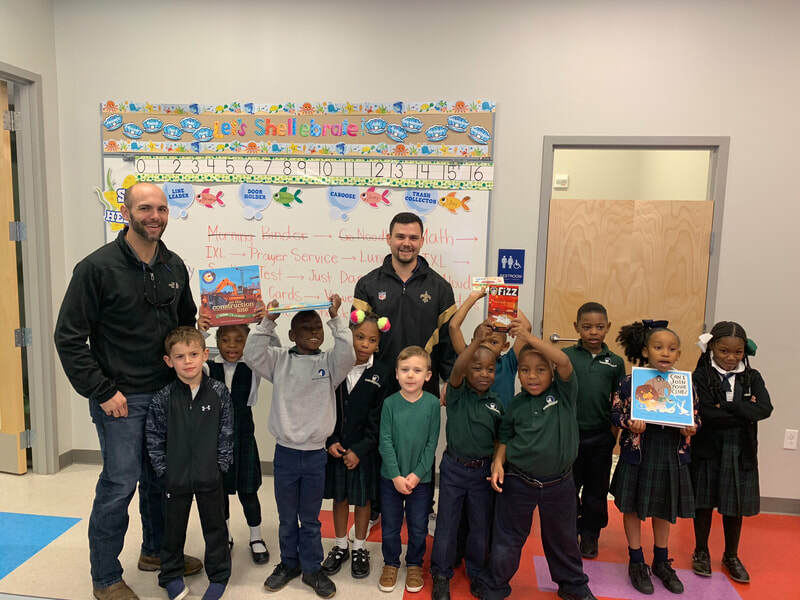 Builders of our new school, Ryan Gootee General Contractors and Classic Interiors who provided the shades for the windows, stopped by campus recently to donate books to the 1st graders. 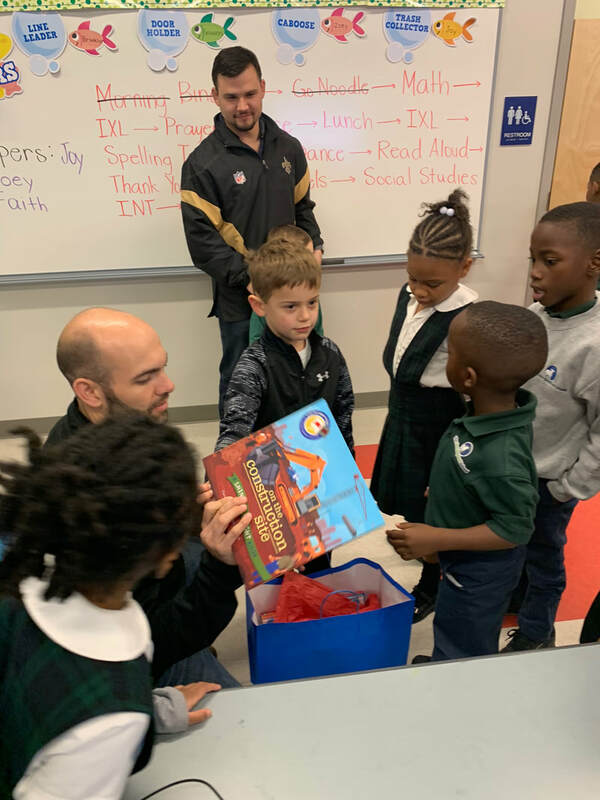 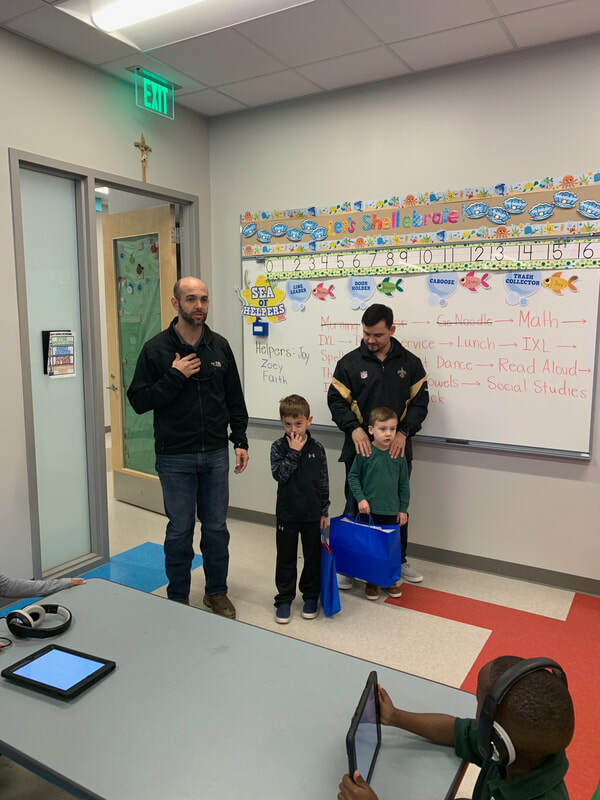 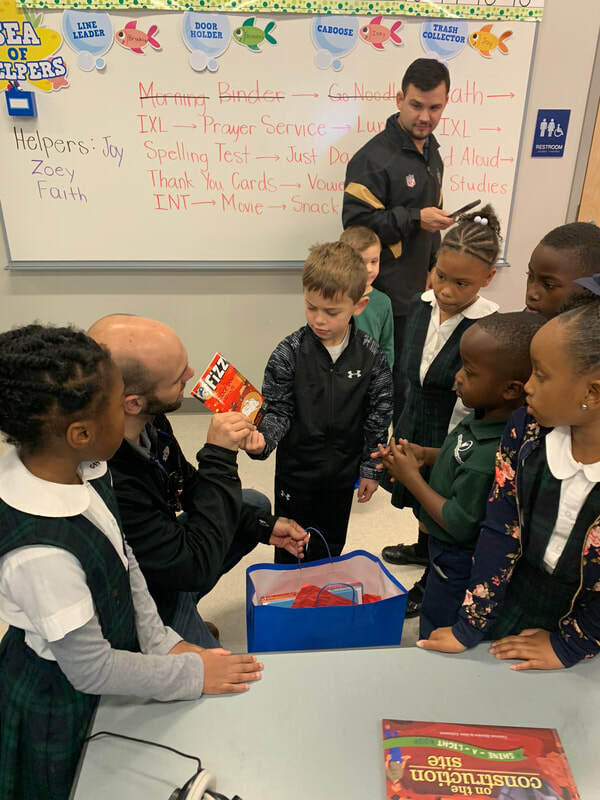 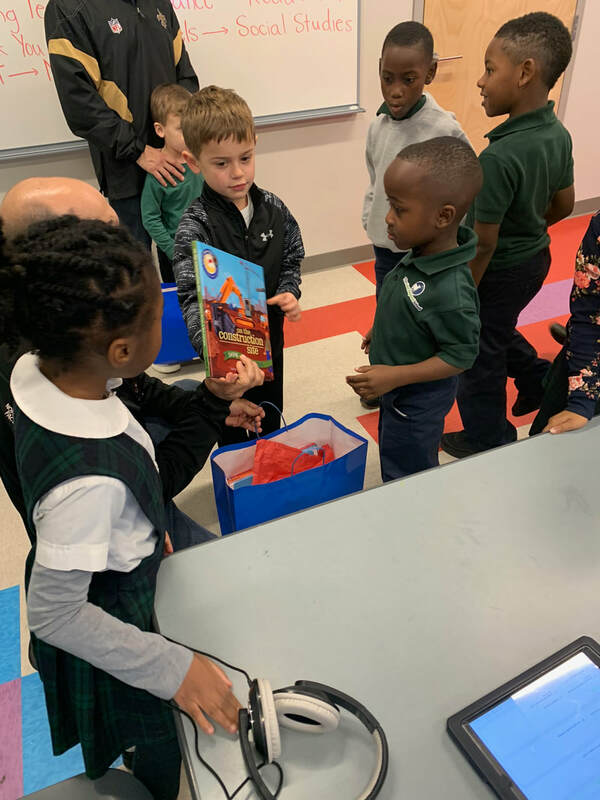 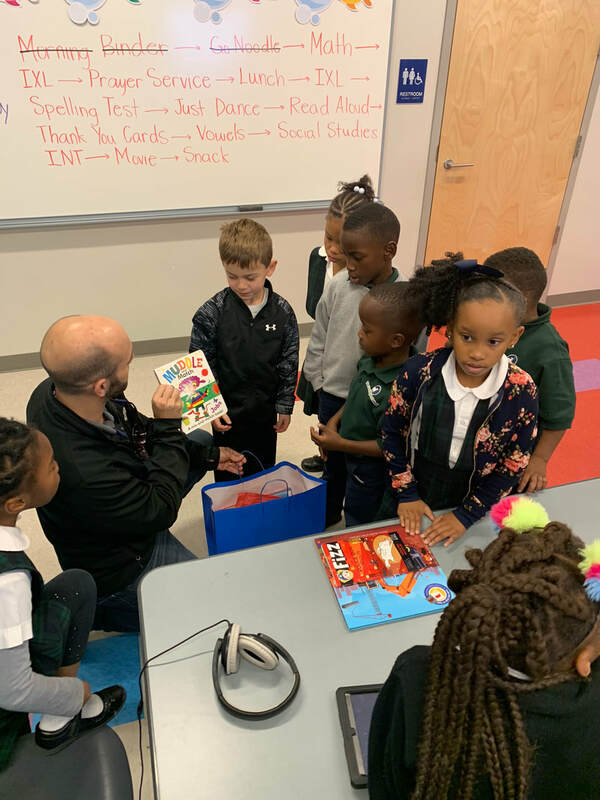 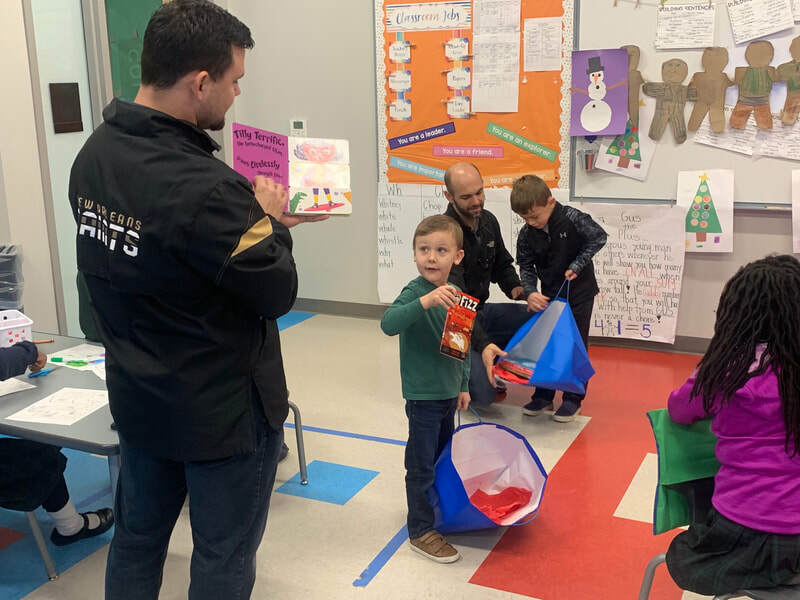 Mr. Kevin Sprehe of RGGC and Mr. Michael Bourgeois of Classic Interiors brought their sons by to visit with the 1st graders and drop off the donated gifts. 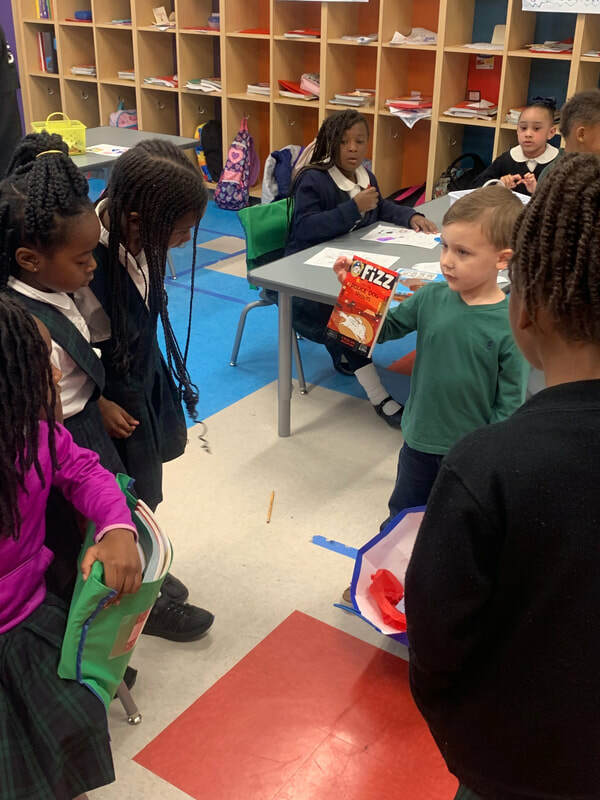 Thank you for visiting and for the 1st grade gifts!